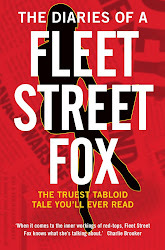 fleet street fox: Justice (n.): the principle of being just, righteous or equitable. Justice (n.): the principle of being just, righteous or equitable. WHEN justice is done it's often not enough. 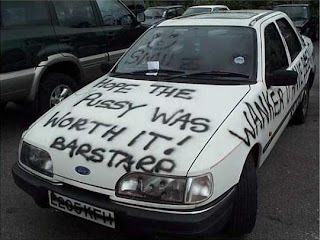 A jail sentence or court conviction does not bring a loved one back to life, repair a damaged company or erase a scar. There isn't much that will, and the justice system invented by humans is merely a way to make the best of things, to mark a wrongdoing and provide a resolution which allows victims and perpetrators to know who was right and who was wrong. When I went through a divorce from someone who hurt, abused and damaged me in the short, medium and long terms I craved justice of some kind. I thirsted for him to pay, whether financially, physically or socially, to hit back and be publicly vindicated as the party who had been 'in the right'. There was a point I was so angry I would have quite happily skinned him alive, slowly, over months. As time passed and the divorce was finalised, I was less bloodthirsty but still frustrated that the law meant neither of us were at fault. He could skip through life quite happily, while I was left licking my wounds. That was a while ago, and while there are still some things I wish I was better at - commitment, for one - I no longer want to hurt him. I don't care any more. My life today has improved not because anyone made a court judgement but because I have come to realise the things he wreaked have been a force for good. I rather like my life, and that is due in large part to the awful pain he caused. On the rare occasions I think of him I hope he has learned from our past in the same way I did, and used it to make his world a better place (I bet he hasn't, mind). At work I've sat through thousands of court cases, and interviewed hundreds of people who committed crimes or were victims of them, and it seems to me that very few people ever feel justice truly has been done. There is always a niggle, a lingering issue, that can be picked at like a scab until it stops trying to heal itself. They think justice is a thing, rather than an ideal we blunder towards. Yesterday a stupid, arrogant, immoral and unethical man was given the maximum possible sentence for administering a drug to a patient which killed him. The drug was not medically prescribed, was not needed, but had been demanded by a rich man whose killer supplied him in return for large amounts of money. Conrad Murray had the book thrown at him, and will never practise as a doctor again or be able to do the same to someone else. But the family of Michael Jackson are not happy with that. They are also seeking £1million for funeral costs, and £64m in loss of earnings for his children. What the children lost was their dad, not his money. They've made more of that since he died than they would have had he lived, and I bet that fact doesn't matter a damn to them. The family say they do not seek revenge against the doctor, despite the fact these legal demands would ruin him for life. Perhaps he deserves it, but it doesn't make him any more wrong in what he did. It's fairly clear that in the months and years to come there will be even more court cases as the event promoters, record companies, insurance firms, family and lawyers all argue over who owes what to whom; money isn't justice, but for some it's a good enough substitute even if it does cost more to argue about. In truth there is no such thing - life is unfair, always has been and always will be. Justice is a nice thing to aim for but in the end it always comes down to someone deciding to cut their losses. Or doing something else instead. Revenge is a dish best served while steaming, and before you get bored.